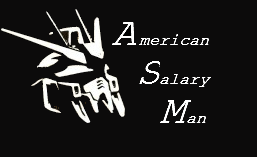 That’s a long title there. 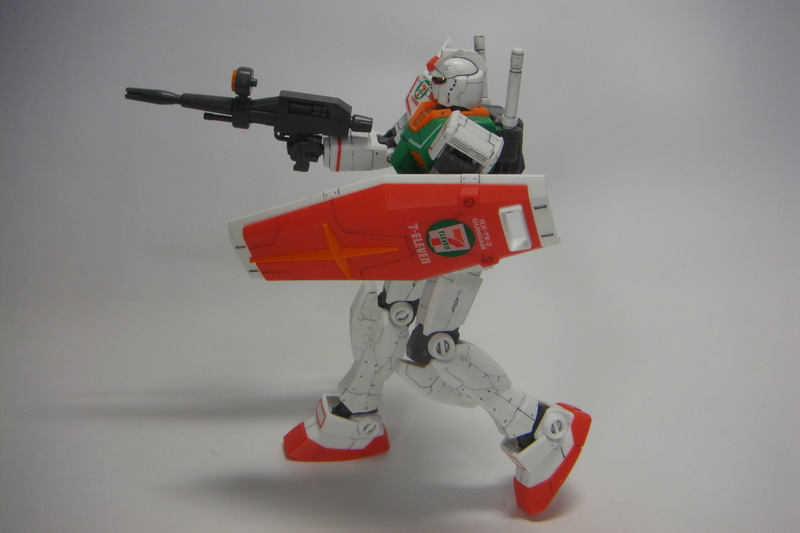 You’ll forgive me that I don’t do a WiP as this is pretty much the same Ver. 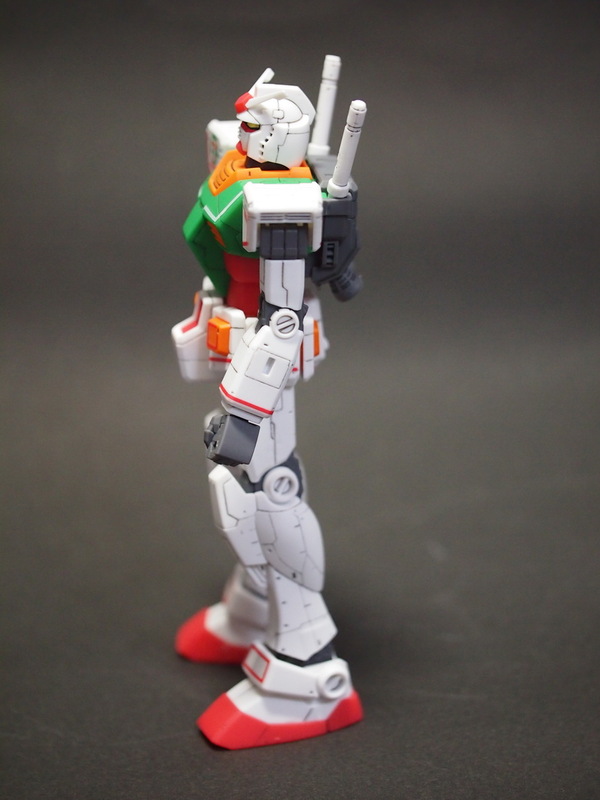 G30th that’s been out for the last several months, just done in new colors. 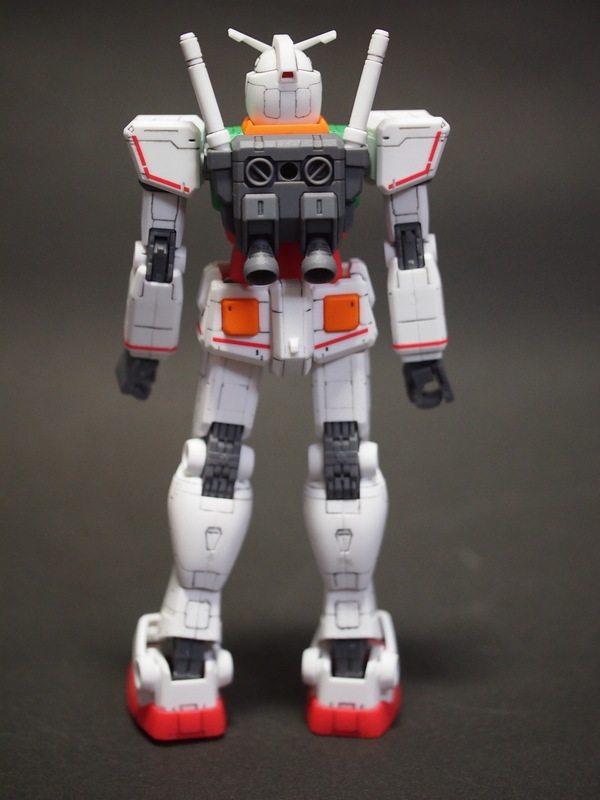 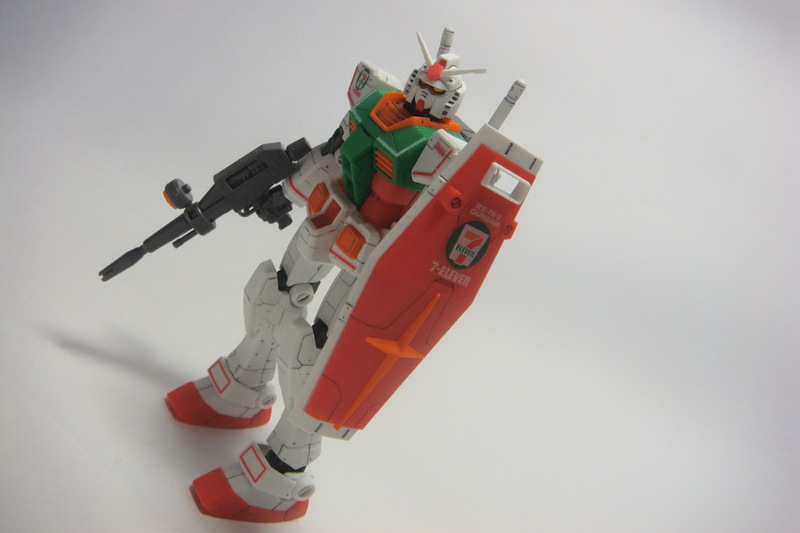 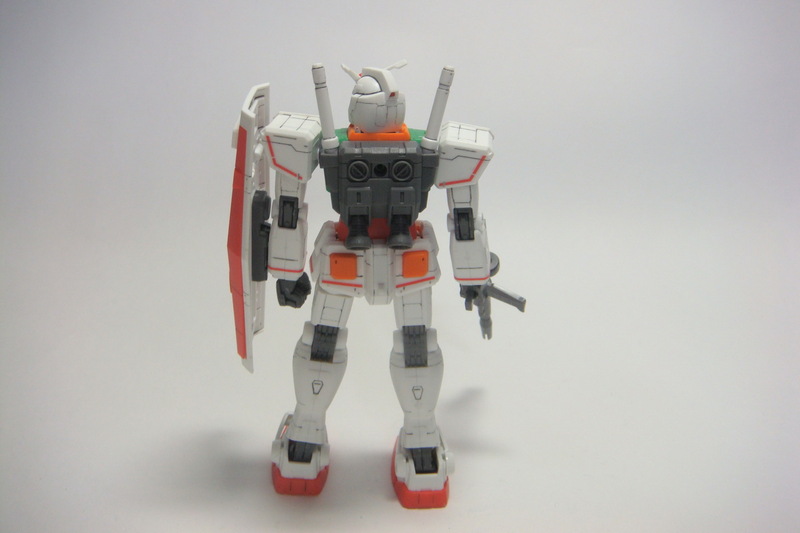 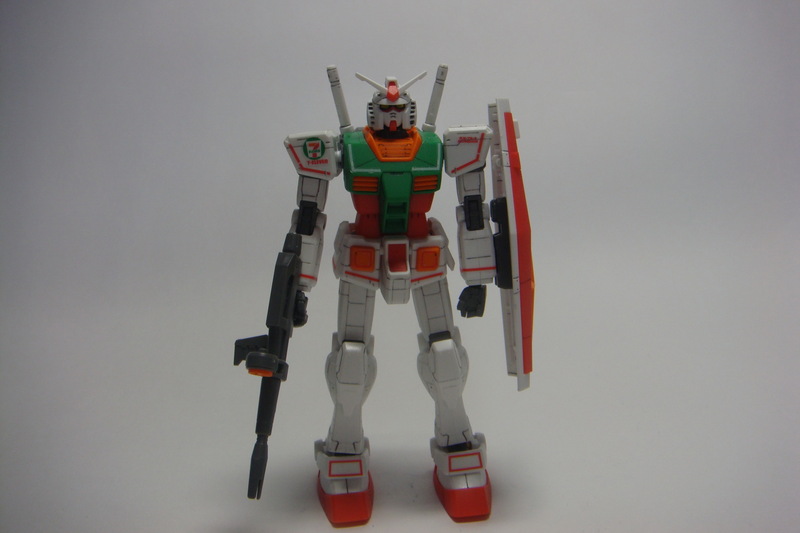 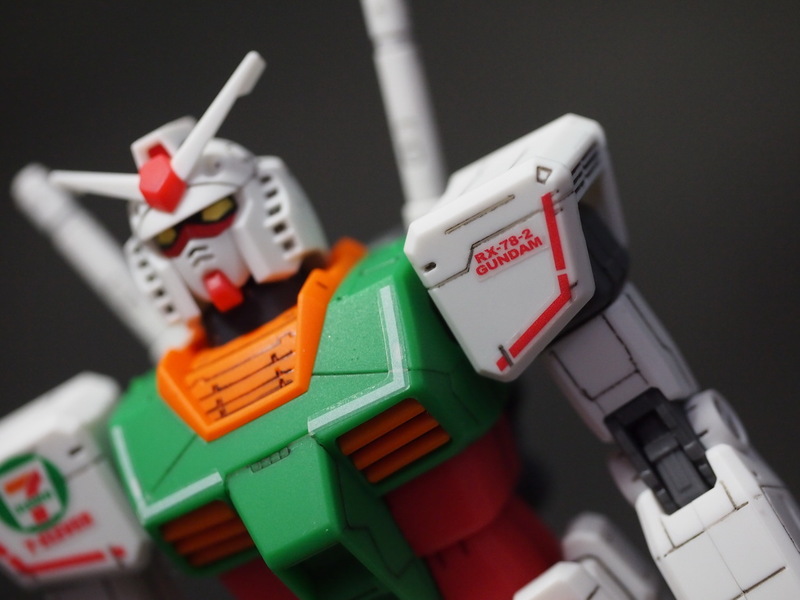 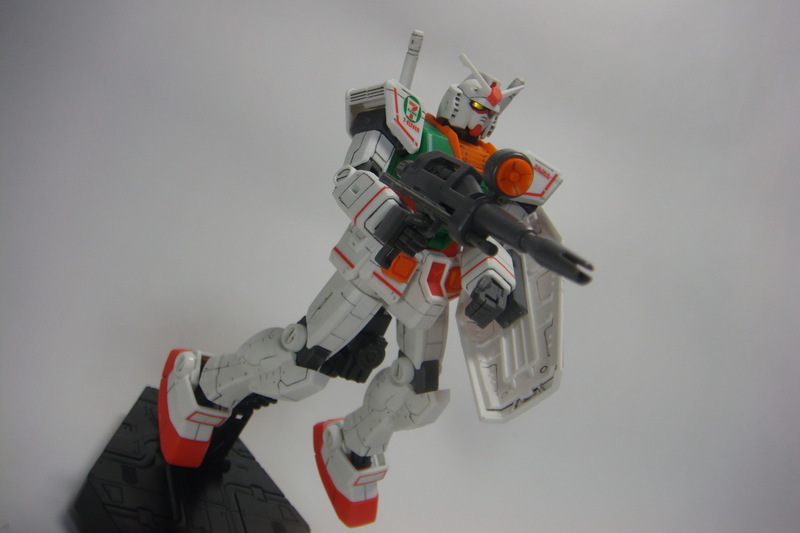 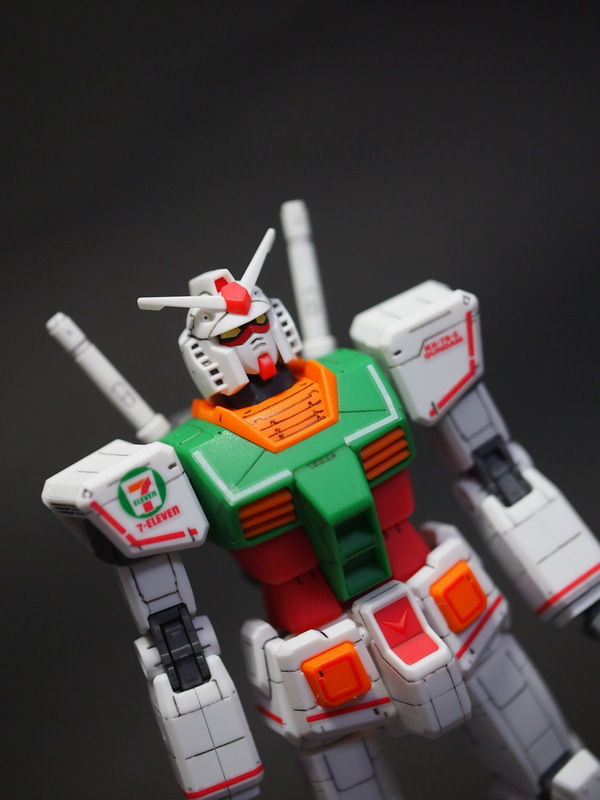 As I said before, I really like the colors of this kit, and the seals that it comes with really adds to it. 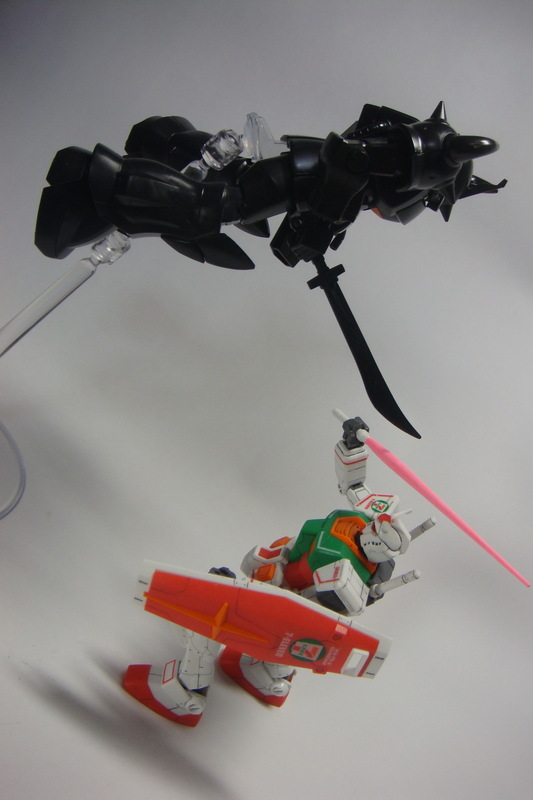 Without further ado, a few pictures for you. 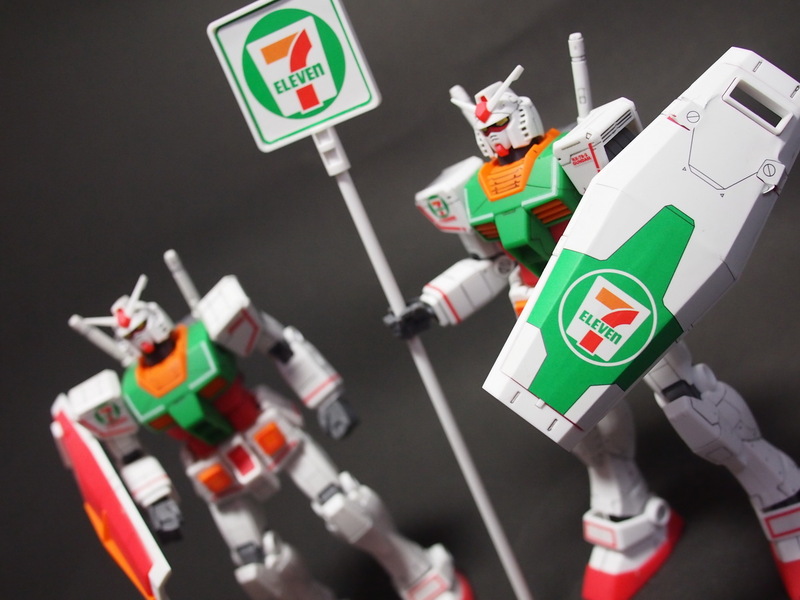 Out of the blue Eco Gouf attacks! 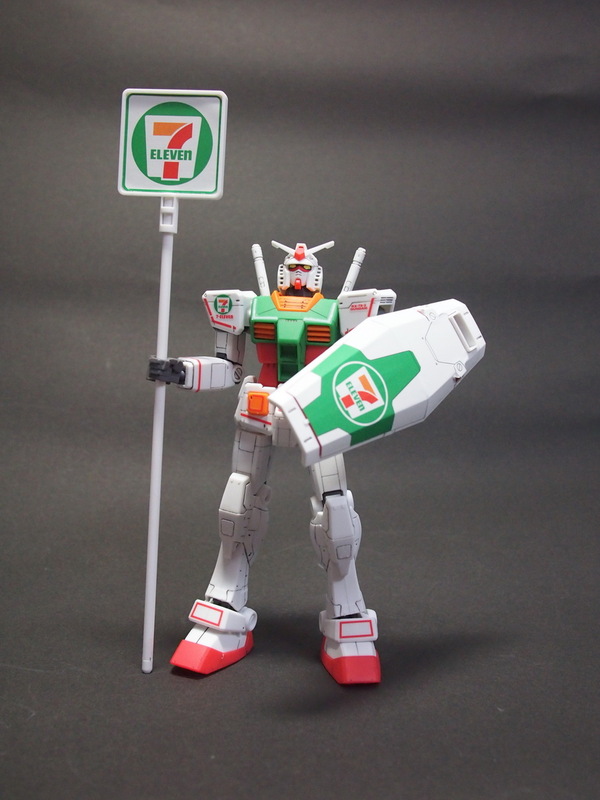 What does he want? 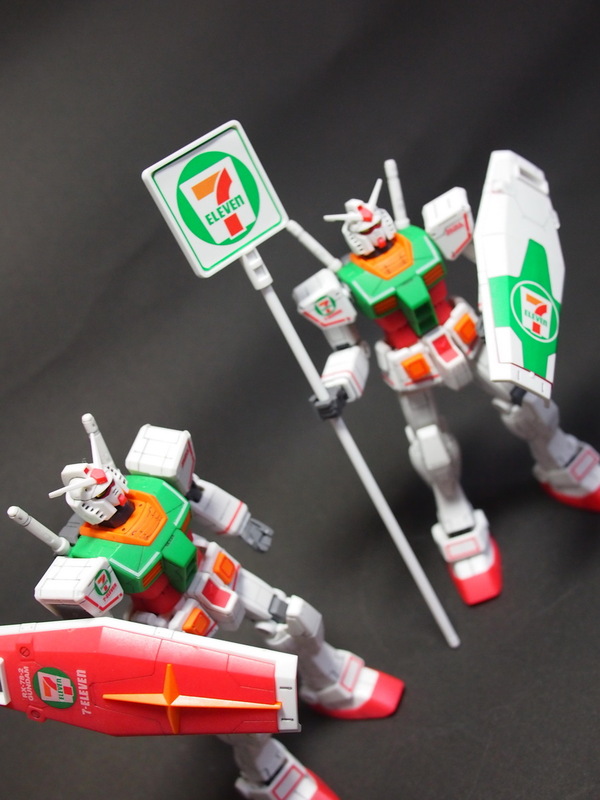 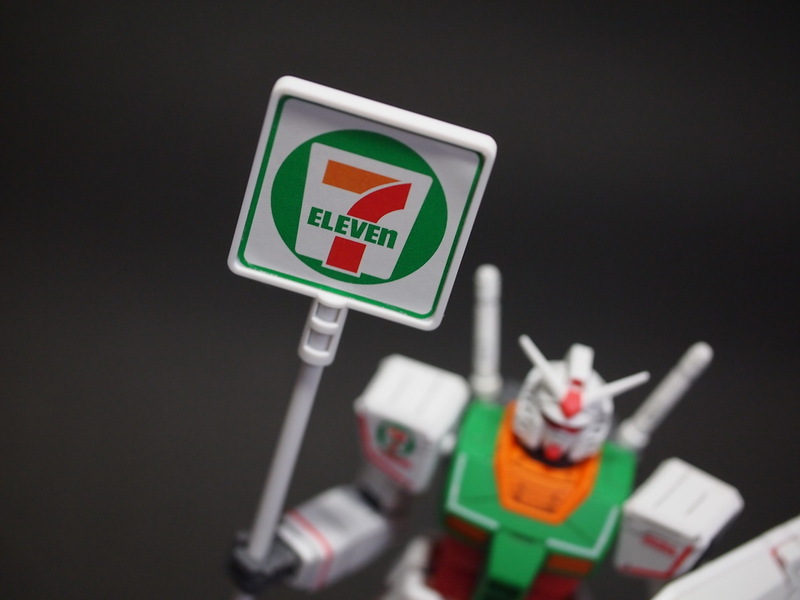 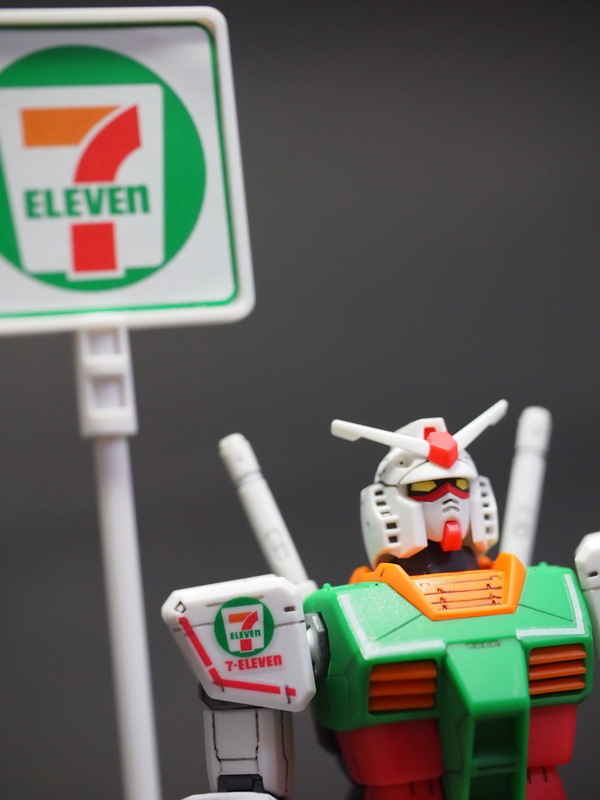 Why, he needs to pick up the new issue of Gundam Ace at 7-11! 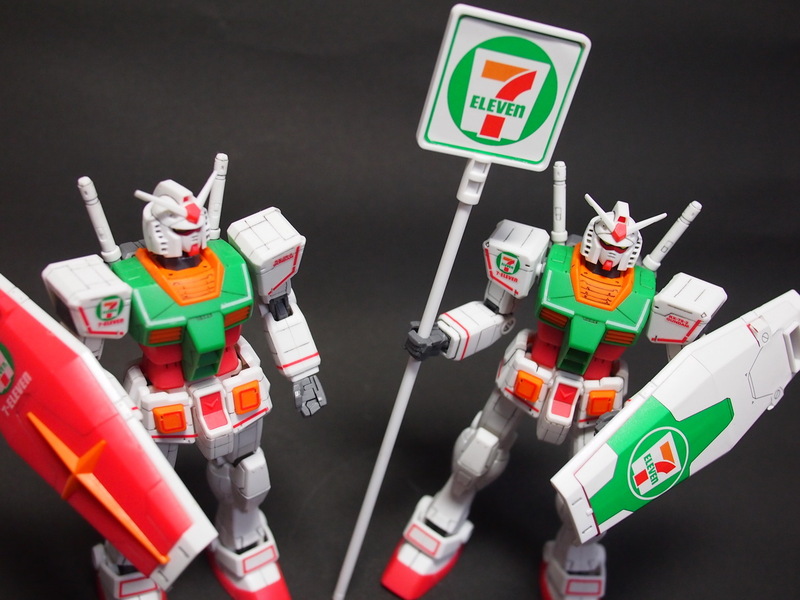 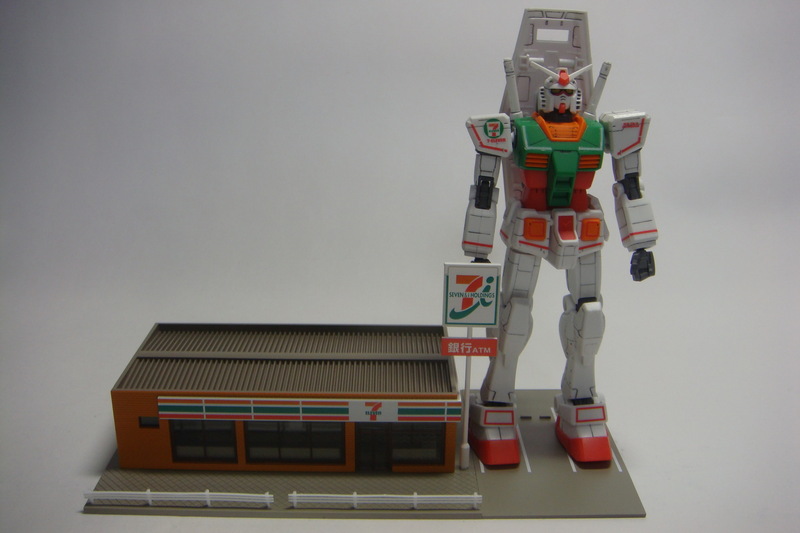 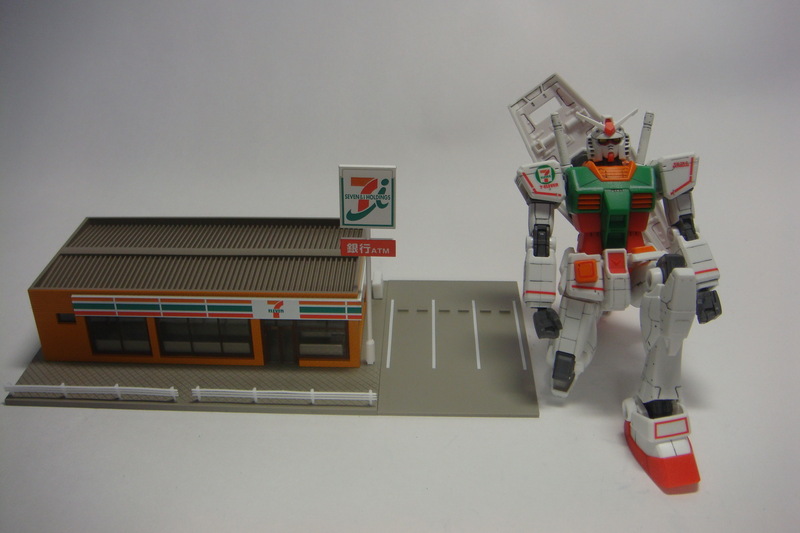 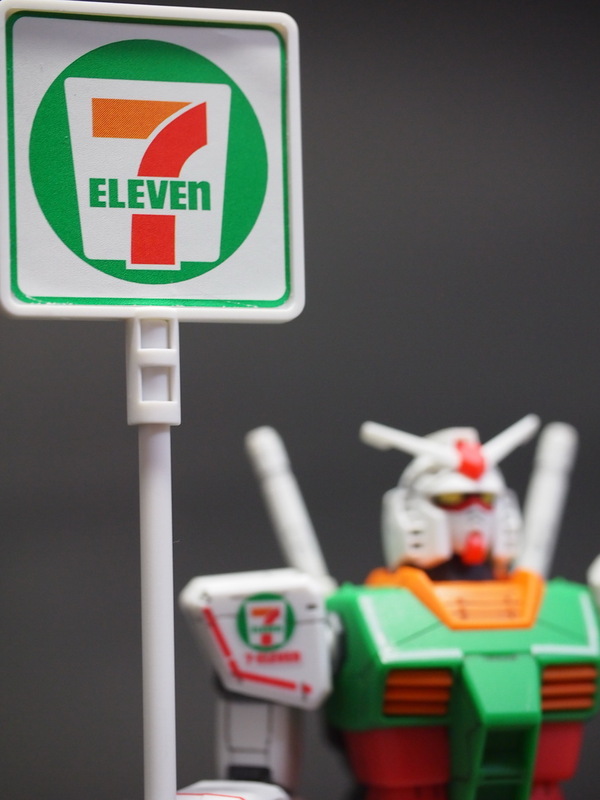 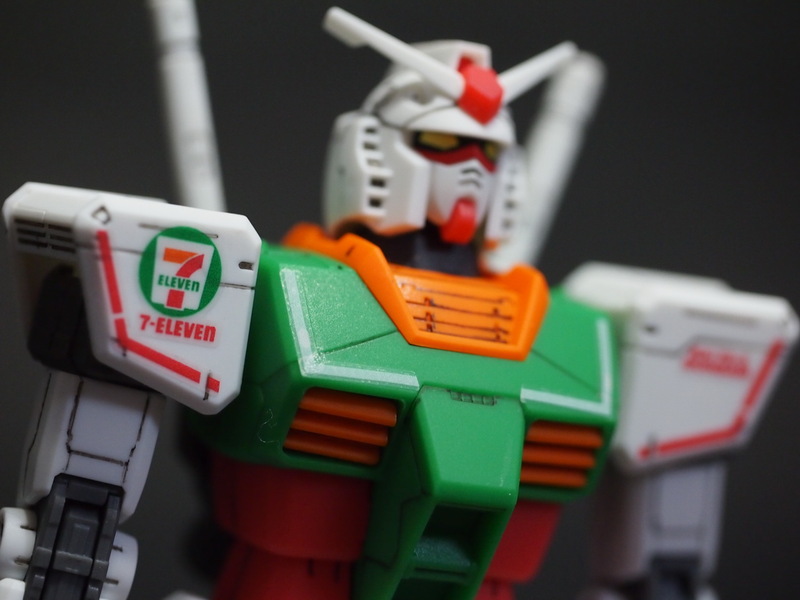 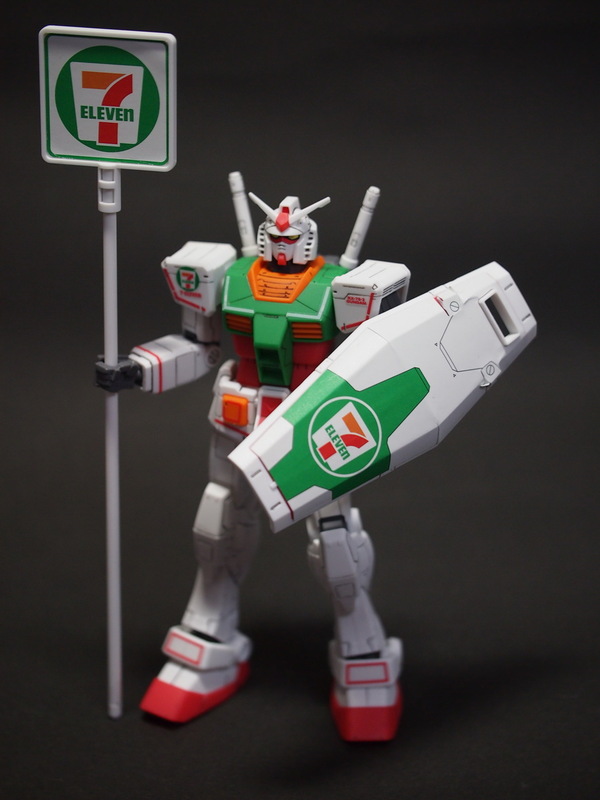 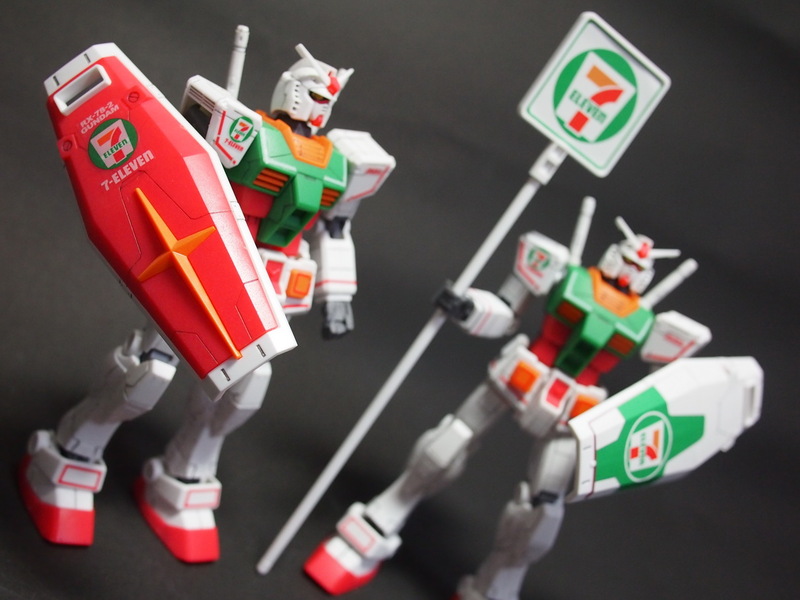 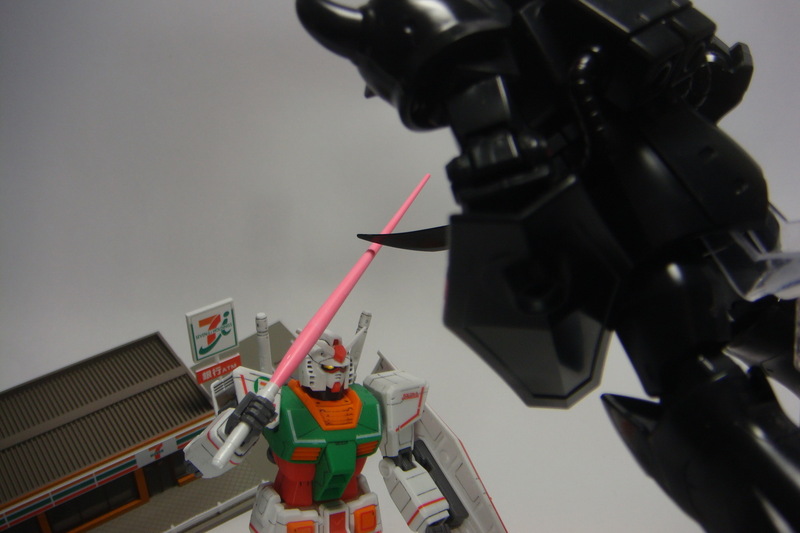 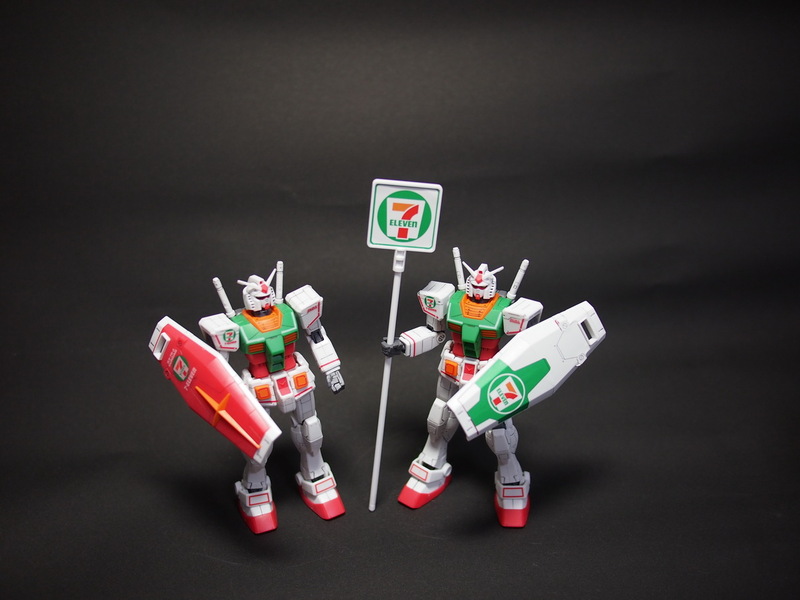 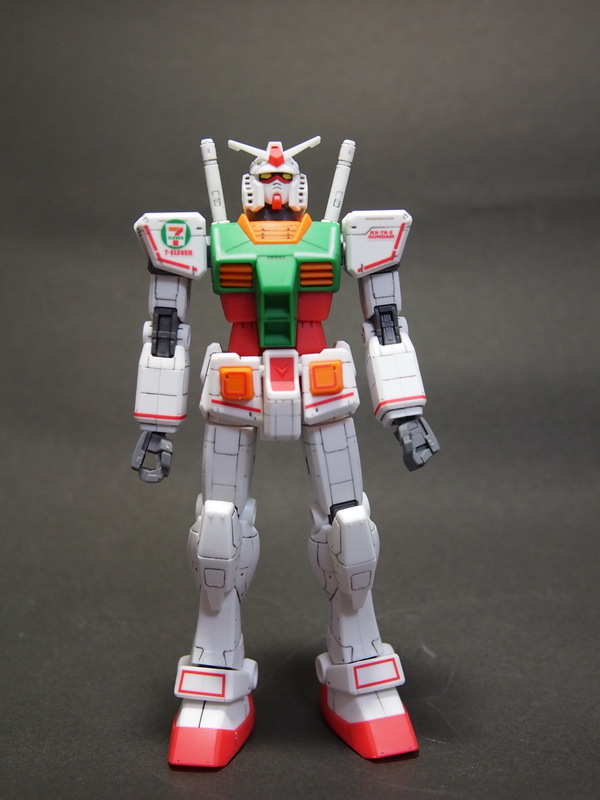 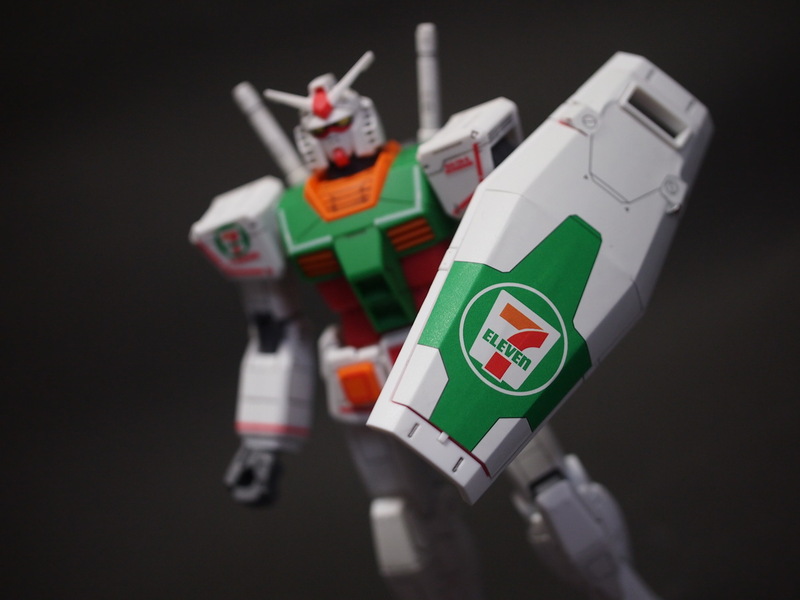 Unlucky for him, this 7-11 has saved the last copy for Amuro. 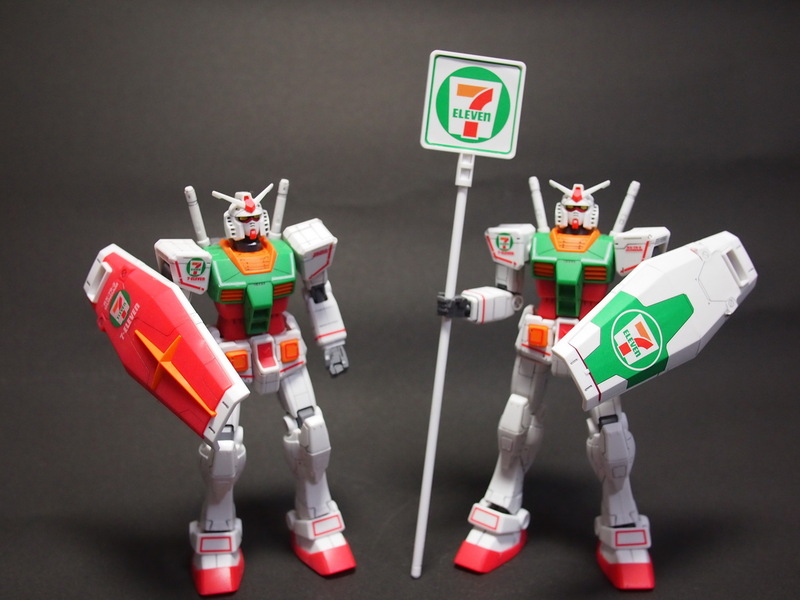 Who runs in to snag that issue.